This popular guide, now in its 4th edition, has been updated to cover the latest developments in the realms of the internet and the world wide web. 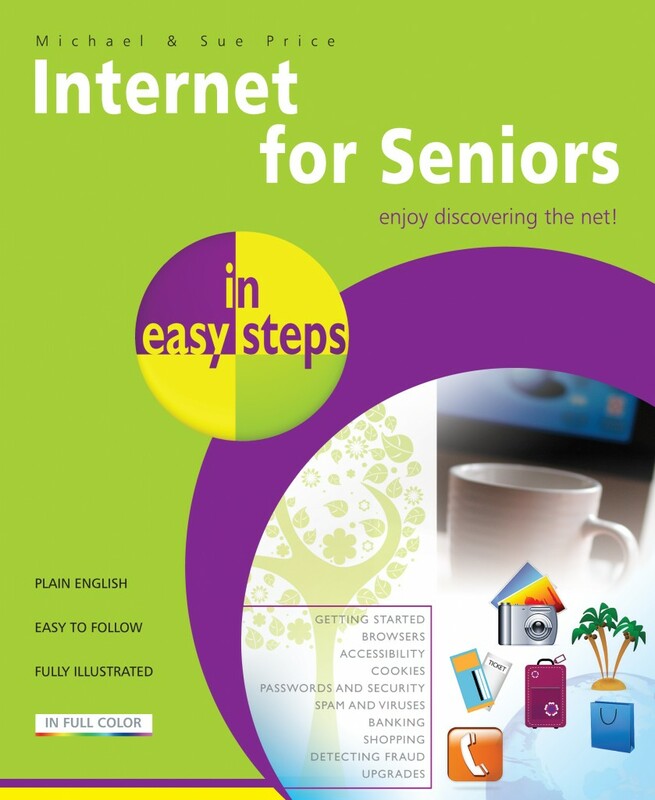 If you’ve never used the internet before and want to get to grips with it quickly, Internet for Seniors in easy steps will help you discover the opportunities and the benefits of the Internet, explained in easy steps. The emphasis is on the tasks that you want to carry out over the Internet, rather than the technology and equipment used. Activities discussed include searching the Internet, solving puzzles and quizzes, playing games of skill such as Chess and Bridge, planning vacations, exploring arts and crafts, researching your family tree, publishing websites and blogs, receiving RSS feeds, and keeping in touch with family and friends. The book helps make sure that all your Internet experiences will be safe, enjoyable and useful. It introduces you to the latest internet browsers, such as Internet Explorer and Chrome, and covers Windows 8. The Internet is not just for students and business, it is there for everyone. 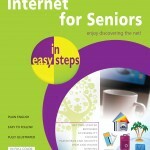 Internet for Seniors In Easy Steps, with its larger type and clear presentation, will help you enjoy it to the full. Michael Price is an accomplished author of In Easy Steps books, IT journalist and systems consultant with a wide experience of computing systems ranging from mainframes to personal computers. 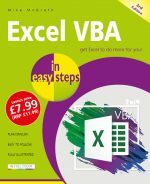 He’s authored the highly successful Windows for Seniors in easy steps as well as earlier editions of this title. Sue Price has been teaching adult education classes for over seventeen years. She has taught a wide variety of computing classes in addition to CLAIT courses, to students of all ages, and fully understands the needs of newcomers to computing and of those who wish to develop their IT skills and experience. 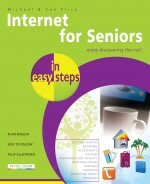 She’s also authored Computing for Seniors in easy steps, the best selling computing book for the older generation.